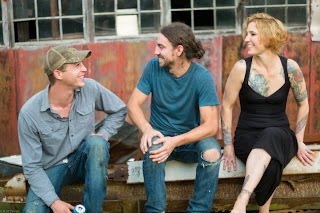 Background - Old Fort, North Carolina band Yellow Feather, which features vocalist Casey Kristofferson, daughter of Kris Kristofferson and Rita Coolidge, released their debut album, And Gold, arlier this month. 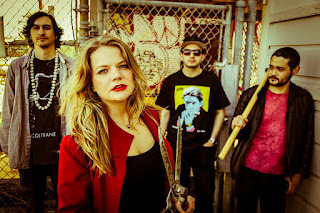 Yellow Feather also features guitarist/vocalist Hunter Begley (who stars in the video for the album’s first single “Lucille”) and lap steel player Charlie Wills and the album features drummer Herschel VanDyke and bassist Robert Parks along with a slew of special guests! And Gold was recorded at Echo Mountain Studio in Asheville, NC with producer Rorey Carroll, mixed at Café Rooster Records in Nashville w/ sound engineer Gabe Masterson and mastered by Alex McCollough (Jim Lauderdale, Amanda Shires, Todd Snider) at True East Mastering in Nashville. Stalking Like Candy - Can You See The Light. Background - Stalking Like Candy are celestial beings, transcended from the ennui of terrestrial life. Indomitable. 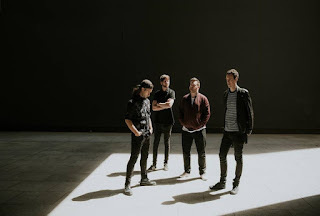 Their latest single Can You See The Light builds on the Cyberpunk universe of movies like Blade Runner and books like Neuromancer. It tells the tale of a street urchin from neo-Tokyo, her rise out of the slums, and the nostalgia she retains for the neon alleyways of her childhood. 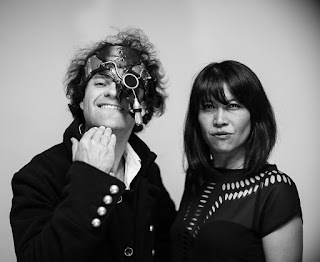 Stalking Like Candy combines a Pixies post-punk ethos with synths, beats, raps, and soaring melodies and harmonies. The lineup is Thida G (vox, synths, samples), Dr J (aka Jamie Q) (vox, guitar, synths, ukulele and stuff), Gabe (vox, bass), and Aleŝ ‘jazz hands’ Svoboda (drums). The band grew out of Locos, a covers band that’s been demolishing the Coogee covers scene since early 2016. Stalking mostly plays originals, but they love reinterpreting a few classics to really get the crowd pumping. You’ll see. Cole Phoenix - Back Back To Me. Cole Phoenix has worked in feature films such as The Ruins alongside Shawn Ashmore and Jena Malone and Bright Flame, currently in development which Cole wrote, produced and stars in. Nominated for Best New Top 40 Artist of the Year in 2015 at the New Music Awards alongside Sam Smith, Iggy Azalea, Meghan Trainor and Charli XCX. “Back Back To Me” is a contemporary party song with cheek, mixed with old school sass and brass. WEBSITE, FACEBOOK. 'Back Back To Me' is a rich combination of styles that includes soulful musical grooves and refined pop vocals. Powerful, upbeat and melodic, this is a catchy, engaging song. Walter Martin - I Can Run Now From The Hellhounds But I Can't Hide. 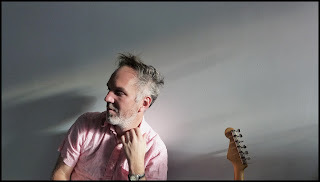 Background - Walter Martin (co-writer/multi-instrumentalist of The Walkmen) will release his new album Reminisce Bar & Grill on February 16th via Ile Flottante Music. His fourth solo record since The Walkmen's hiatus in 2013, Reminisce Bar & Grill was announced earlier this month with a surprise appearance on NPR Music's Tiny Desk in which he performed two of his new songs with a full band and a barbershop quartet.